R. Glen Calderhead and David B. Vasily evaluate the technology and science behind LED-low level light therapy and its use in aesthetic clinical practice. Before discussing either the photobiological basics or clinical applications of light-emitting diode photo-therapy for the ageing face, the author believes that the title itself raises three major questions to which the reader needs an answer prior to proceeding. First, what is ‘low level light therapy?’ Second, what are light-emitting diodes (LEDs)? And third, what is the rationale behind using LEDs in phototherapy (or photobiomodulation) when there are other well-established light sources such as laser diodes, filtered xenon lamps, and even defocused surgical lasers? 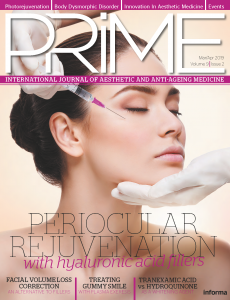 With these three pivotal points having been addressed, the application of this non-invasive modality in clinical practice, particularly in photorejuvenation of the ageing face, can then be discussed together with the science behind it. The acronym LLLT originally stood for ‘low level laser therapy’, which was first coined by Calderhead in 1988 with the publication by John Wiley and Sons of Ohshiro and Calderhead’s ‘Low Level Laser Therapy: A Practical Introduction’.1 It is a term that has come in for a fair amount of misinterpretation and abuse, with authors often talking about ‘low level lasers’, for example. There is no such thing as a ‘low level laser’ or indeed a ‘low power laser’, ‘cold laser’, ‘cool laser’, ‘low energy laser’, and so on, as will be explained later. The original concept of LLLT was focused on the therapeutic effect induced in the target tissue by the incident photons, irrespective of the system generating these photons. Photons are discrete particles of pure light energy without mass, which propagate through space in straight lines with a sinusoidal waveform. The distance between the beginning and end of one full cycle gives the wavelength of the light energy, measured in nanometres (nm), and the number of cycles in one second gives the frequency of the light, measured in hertz (Hz). The first law of photobiology states that without absorption, there can be no reaction2, so the incident photon must be absorbed by the target cells for any reaction to occur. The importance of this fairly obvious statement will be discussed later. When a photon is absorbed by a cell, it passes on its energy to the cell. The degree of the photon density determines what sort of energy transfer occurs. In parallel with the Ohshiro-Calderhead Arndt-Schultz curve that illustrates the level of biological activity depending on the strength of the stimulus (Figure 1)3,4, low photon intensities excite the cell, moderate intensities sustain the cell, strong intensities will damage the cell through the generation of a photothermal reaction that slows down cellular activities, and very strong intensities will kill the cell. If we think of a cell, as shown schematically in Figure 2, we can assign to each cell two thresholds based on the above concept: the damage threshold, and the survival threshold. As the level of stimulus rises, so the level of the reaction in the cell increases. If the level of reaction is below the damage threshold of the cell (Figure 2a), the thermal reaction, if any, is negligible, and the photobiomodulation or photoactivation of the cell and its activity occurs. This takes three forms: if photoactivated cells are damaged or compromised in some way, they will be repaired; if they have a function to do, for example fibroblast synthesis of collagen and elastin, they will perform that function better and faster; if there are not enough cells, then more will be recruited in or the existing cells will proliferate5. These can happen singly or in combination. This is the ‘level’ of low level laser therapy: it refers to the level of the reaction induced in the cell by the incident light energy, because it should always be remembered that the ‘L’ of laser stands for ‘light’. 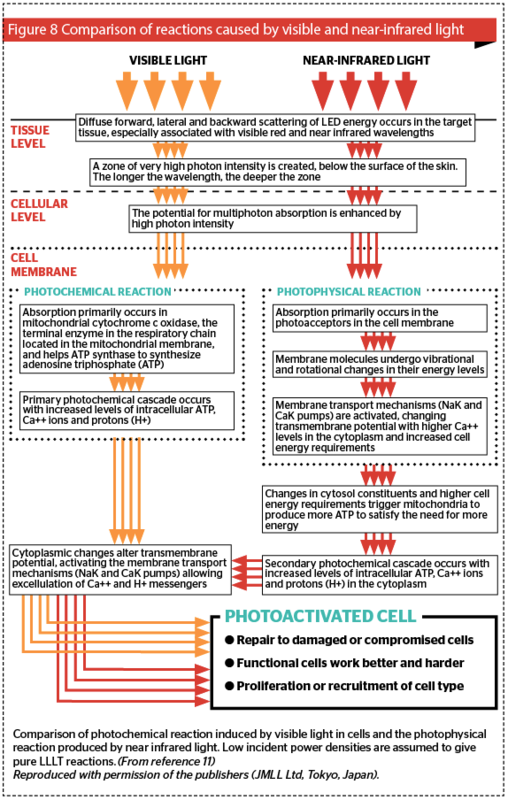 This level of reaction can be classed as phototherapy, where some form of clinical effect is achieved through photobiomodulation of the cell actions, but without heat or damage. If the strength of the incident photon density is such that a light to heat transfer of energy occurs, then the level of cellular reaction rises above the damage threshold and the cell is damaged: at lower levels of damage, although the cell is wounded, it is still alive. Protein denaturation occurs in the extracellular matrix (ECM) as the heat-labile hydrogen bonds holding collagen fibers into bundles denature, allowing collagen fibers to drift apart in the ECM. When the temperature drops below 40°C, the bonds renature, but the architecture of the ECM has been changed: this is the basis of tissue welding with lasers. Under Ohshiro’s classification of laser and light-tissue interaction, this is mid level laser treatment, MLLT6. On the other hand, once the temperature in the cells and the ECM tissues they comprise rises over 50–53°C for any length of time, then cell death starts to occur with irreversible ECM protein degradation giving way to coagulation from around 60°C and above, at which point total necrosis begins to occur (Figure 2b). 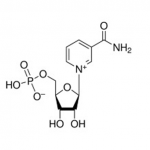 This reaction is now in the range of photosurgery rather than phototherapy classed as high level laser treatment (HLLT) by Ohshiro, with ablative vaporization occurring when temperatures reach 100°C. In this article we will be concentrating on the reactions illustrated in Figure 2a, namely athermal and atraumatic phototherapy and LLLT. What systems can deliver LLLT? When Ohshiro and Calderhead wrote that first volume on LLLT, the only clinically appropriate sources available for true phototherapy were low-powered laser diodes, or defocused surgical lasers. The former were comparatively inexpensive and the latter very expensive. LEDs were available, but they were totally inappropriate for clinical indications, having low and unstable output powers, large angles of divergence and wide wavebands. It may come as somewhat of a surprise to the reader to see that surgical lasers could, and still can, be used for phototherapy! Consider a 50 W CO2 laser, which could never be referred to as a ‘low power laser’. At that output power this surgical laser, used in the usual focused mode, could slice through tissue like a hot knife through butter. However, if that 50 W beam is defocused to a beam 10 cm in diameter, the size of a decent crural ulcer, then the actual power at the tissue, known as the power density or irradiance, is only 667 mW/cm² (0.667 W/cm²). This will not generate any heat at all, even if the beam is kept on the one point for many minutes, and is a therapeutic power density, in other words, LLLT with a 50 W laser. On the other hand, if we take a 60 mW near infrared diode laser normally used for LLLT and allow the beam to impact an unaccommodated eye, the ocular lens will focus the laser energy onto the retina to a spot some micrometers in diameter. At 50 μm, the power density of the 60 mW beam is over 700 W/cm²! That will undoubtedly create instant burn damage in any tissue. A ‘high level laser’ can be used for LLLT, and a ‘low level laser’ can be used to deliver HLLT with powerful thermal damage. Terminology therefore matters, because it is the level of the tissue reaction that counts, not the ‘level’ of the laser or light source delivering the beam. The lesson from the above examples is: the power of the laser beam is much less important in determining the light-tissue reaction than the power density of the beam at the tissue, which is a function of the incident beam power (expressed in watts) divided by the unit area irradiated (expressed in cm²), and given in W/cm². LLLT obviously requires low power densities, which can range from a few mW/cm² up to around 5 W/cm² in continuous wave before any thermal reaction is seen (depending on the biological target and the wavelength of the incident light). When the exposure time is added (in seconds) to the equation, we can calculate the energy density, or dose, expressed in J/cm²: the importance of power density and energy density will be discussed later in the article. Interestingly, if ‘LLLT’ is used as a search term for PubMed, it brings up over 4,000 entries, a good 60% of which are actually on a clinical or research facet of LLLT rather than on some other aspect of laser or laser surgery rather than phototherapy. A growing number of these entries concern phototherapy with LEDs rather than laser diodes, which takes us into our next subsection. 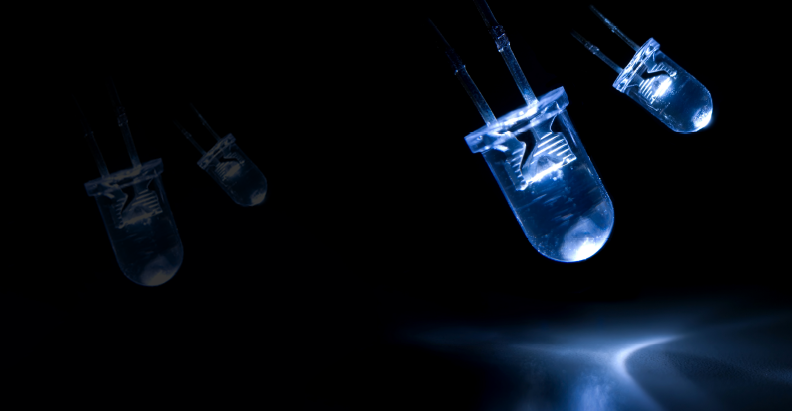 In the past fifteen years, LEDs have become accepted sources for therapeutic systems. 1988 was the pivotal year for LEDs, when Professor Harry Whelan and his team at the Space Medicine Laboratory of the National Aeronautic and Space Administration (NASA) developed the first of a new generation of LEDs, the so-called NASA LED7. The same group quickly went on to demonstrate the clinical efficacy of near-infrared LEDs for wound healing8, and the new generation LED was available to researchers and clinicians as a valid therapeutic light source. 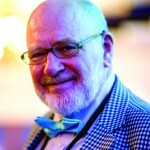 In fact, at the time of writing LEDs are now supplanting laser diode-based systems for many applications, and it was suggested some 10 years ago by Kendric C Smith, Emeritus Professor at Stanford University and a leading photobiologist, that ‘low level laser therapy’ should become ‘low level light therapy’, but share the same acronym of LLLT9. That is now the case. At the heart of light-emitting diodes are tiny semiconductor chips assembled from different plates of positive and negative substrates sandwiching another thin plate called the recombination or junctional zone. The negative substrates have negatively charged electrons moving in one direction, and the positive substrates have positively charged holes moving in the other direction so that when direct current electricity with the correct polarity is passed through the substrates, the charged electrons enter a higher energy level and are attracted down towards the holes. In doing so they shed their extra energy at the junctional zone in the form of a photon. Unlike a conventional laser, no mirrors are used, so energy is emitted from both the front and back of the diode in an uninterrupted elliptical cone with divergence usually in the range of 60° to 110° across the larger diameter of the beam. 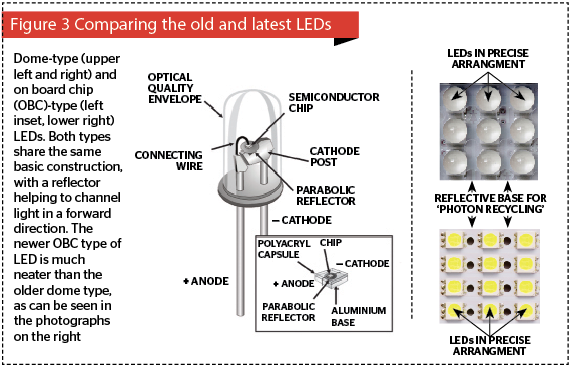 Older LEDs had a dome-like appearance and were added to a printed circuit board (PCB), but newer LEDs come in boards of varying sizes of pre-mounted LEDs, known as on-board chips. In both cases, the LED chip is usually mounted on a small parabolic reflector so that the light from the both sides of the chip is captured and directed forwards (Figure 3). The light from LEDs is completely non-coherent with the photons totally out of phase in time and in space, but in high grade LEDs a very high percentage of the photons are at the rated wavelength. The higher the grade of the LED (and the more expensive it is), the narrower the bandwidth will be of the emitted photons. This is termed quasimonochromaticity, as distinct to the true monochromaticity of a laser diode, and allows LEDs to offer the rated wavelength plus or minus a very few nanometres. Laser diodes (LDs) have higher grade substrates, and also have cleaved and polished facets from which the photons are emitted at photon intensities orders of magnitude higher than an LED. Like LEDs, the emitted beam of energy is divergent. However, because LDs are true point sources with all their photons in temporal and special phase, the divergent beam can be collimated with a set of condenser lenses to give a nondivergent, i.e. essentially parallel, beam. This is the basis of the humble laser pointer. Figure 4 compares an LD with an LED in terms of various aspects of the light energy output. In addition, the very high energy emitted by LEDs can be focused to a very small point, for example, by the eye, to achieve at the very least extreme discomfort, and at the worst, a retinal burn right at the macula, the center for visual acuity. This can explain why there has been a rash of reports about sportsmen and women being distracted by deliberate targeting with laser pointers wielded by oafish ‘fans’, and even reports of aircraft pilots being targeted while landing or taking off. On the other hand, because LEDs emit photons with some sort of directionality thanks to the parabolic reflector mentioned above, but since the photons are totally out of phase, it is impossible to collimate an LED beam completely, and therefore also impossible to focus LEDs. The best that can be achieved is some semi-collimation to narrow the divergence of the beam, thereby helping to obtain higher photon intensities at tissue for the same output power. These factors of beam divergence and lack of photon phase inherently make LEDs much safer light sources than LDs, since the eye can never gather all the available LED photons and focus them to a tiny point on the retina (Figure 4). Nevertheless, eye protection when using therapeutic LED systems is always a sound idea. Why should we use LEDs in phototherapy systems? If this question had come up 15 years ago, we would have been smiling, if not laughing, because LEDs were great for instrument lights, Christmas trees, and traffic signals, but they were totally inappropriate for serious clinical applications because of their much lower power and wavelength characteristics compared with the new NASA technology-based LED generation. Now however, we can have an LED at a rated wavelength with a very narrow waveband between 3 and 10 nm either side, depending on the quality of the LED. The higher the quality, the narrower the bandwidth, and the more expensive the LED. 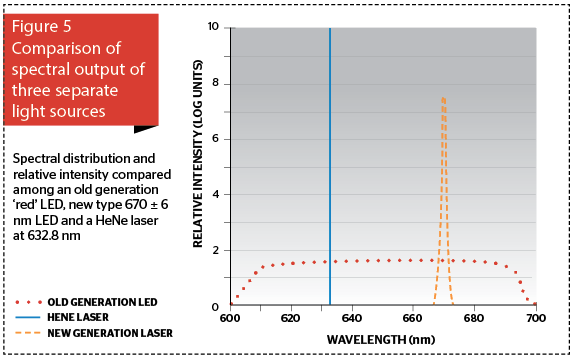 Figure 5 graphically compares the spectral output of an old generation ‘red’ LED occupying the entire red portion of the visible spectrum, a current high-quality 100 mW LED (670±6 nm) and a 15 mW HeNe laser beam (632.8 nm). Note that the laser delivers a photon intensity some orders of magnitude higher than the new generation LED, even though it is over six times less powerful. It is the narrow bandwidth of the current LEDs, i.e. their quasimonochromaticity, coupled with their much higher output powers, some five orders of magnitude better than the pre-NASA LEDs, that made them suitable for use in the clinical setting. As will be illustrated in a later subsection, wavelength specificity and the depth of the target cells matters a great deal in LED-LLLT. LEDs have five main inherent advantages. They are comparatively inexpensive, with one single laser diode from a laser pointer costing the equivalent of upwards of 200 LEDs. In theory, this allows manufacturers to produce cheaper systems, thereby helping to stop spiralling heath care costs for both clinician and patient. Additionally, LED phototherapy offers advantages: low level light therapy with LEDs, LED-LLLT, can be applied by a trained nurse or therapist, freeing up the clinician for other patients; it is pain-free and side-effect free; and LED-LLLT is well tolerated by patients of all ages, from infants to centenarians. The practical reasons why LEDs make a good source for phototherapy systems are clear, and some of their history has been covered. Now we will examine the science and clinical raison d’être for LED-LLLT. Phototherapy with LEDs is based on very low incident levels of light energy. Misunderstandings regarding parameters, such as wavelength, power density and dose (energy density) can lead to positive results in one study, and negative results in another. But who is correct? Science tells us that a single photon can in theory activate a cell, but in practice it requires multiple photon absorption to raise the action potential of a cell. 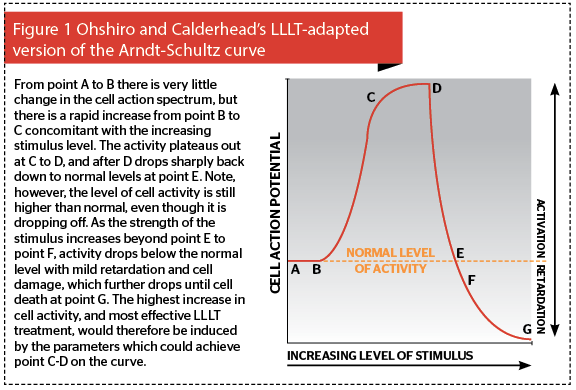 Science also tells us, through the Arndt-Shultz curve as adapted by Ohshiro and Calderhead for photobiomodulation, that the absorption of too much photon energy can inhibit cellular action, and can even result in cell death. There is one parameter above all others that accounts not only for what the target will be, otherwise known as the chromophore, but also how deep the light energy will intrinsically penetrate into the tissue. The reader might be excused for thinking it’s the out-put power of a system, but they would be mistaken: it’s the wavelength. All tissue targets have an optimum wavelength at which they absorb light, as illustrated in Figure 6 showing the absorption curves of the biological targets, namely the pigments (melanin, oxy- and deoxyhemoglobin) and tissue water, from the shorter visible blue wavelength at 400 nm to the mid infrared wavelength of 10,700 nm (10.7 μm) on the x-axis. The y-axis denotes the coefficient of absorption expressed as cm-1M-1 in logarithmic units. Bear in mind that log units differ from arithmetical units, in that the former represent orders of magnitude. In other words although a log value of six is five greater than a log value of one, this represents a difference of 100,000, i.e., five orders of magnitude. 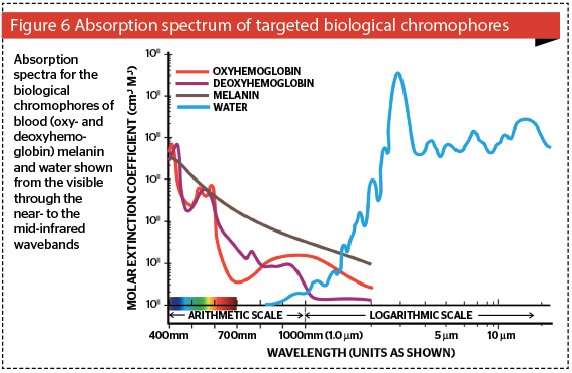 Apart from peaks around 400 nm, at which waveband there are no current laser or LED systems commercially available, the biological pigments all have their absorption peaks in the green–yellow waveband, dropping off thereafter with the longer visible and infrared wavelengths. Water absorption in the visible waveband is minimal but there is still some absorption, although at a lower value than indicated in the figure. The lowest water absorption is at around 820–840 nm, at which point melanin and blood do not offer such good targets. After about 900 nm, water absorption steadily rises till it shows two major peaks at 2,940 nm and 10,600 nm, the wavelengths of the Er:YAG and CO2 lasers, respectively. It can therefore be stated that the major chromophores for lasers in the green–yellow waveband are blood and melanin, so these lasers, the argon (488 nm, 514.5 nm), the KTP 532 (532 nm) and the pulsed dye lasers (585 nm–595 nm), are often referred to as the ‘pigment lasers’. However, LEDs emitting in this waveband will also find melanin (in the epidermis) and blood (in the dermis) as excellent chromophores. Tiina Karu has identified the photobiomodulation band at from around 620 nm visible red to around 1000 nm in the near infrared10, and based on the data seen in this curve, the reader will understand why: minimal absorption in competing chromophores will allow deeper penetration with absorption in non-pigmented chromophores, such as cytochrome c oxidase for visible light and elements on the cell membrane for infrared light11. The other important factor related with absorption is penetration: the higher the absorption of a specific wavelength, the poorer the penetration of that wavelength into the tissue beyond its absorbing chromo-phore: on the other hand, the poorer the absorption of light in a chromophore, the better the penetration of that wavelength into tissue. 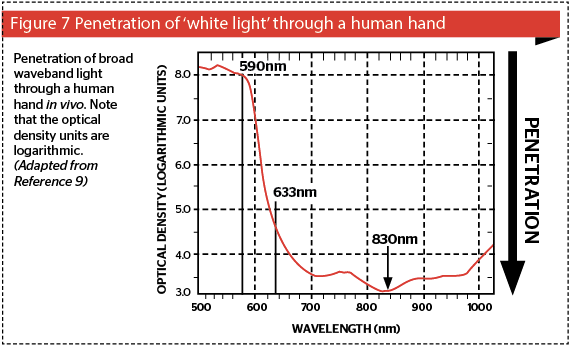 Consider Figure 7, based on photospectrographic data of the penetration of ‘white light’ through a human hand, consisting of standardized wavelengths from 500 nm in the blue-green band to 1010 nm in the near infrared12. The system delivery probe was placed above the hand, and the photoreceptor below the hand. The photospectrometer computer compared light from a reference beam from the incident waveband with the penetrating light perceived by the receptor, and calculated the optical density (OD) of the hand in vivo for each wavelength. The wavelengths are shown on the x-axis and the logarithmic OD units on the y-axis. Penetration is shown graphically on the z-axis. It can be clearly seen that green and yellow light has very poor penetration into living tissue, because of the competing chromophores of blood and melanin as discussed above. Therefore, if one wants to reach targets deeper in the dermis, these wavelengths are not at all suitable. A shift of only 43 nm from the 590 nm yellow to the 633 nm red wavelength induces a gain in penetration of well over three orders of magnitude, and at 830 nm, the gain is nearer five orders of magnitude. This is well within Karu’s photobiomodulation band. Following absorption, penetration plays a major role in LED-LLLT. There are some cellular targets in the epidermis, such as the basal layer mother keratinocytes, Merkel cells and under certain circumstances, the dendritic cells, namely melanocytes and Langerhans cells. These are extremely important as far as keeping the epidermis healthy and happy is concerned. After all, when a patient looks in the mirror after a rejuvenation regimen, they don’t care about beautiful blood vessels and artfully entwined collagen fibers: they see their epidermis, and woe betide the practitioner who has forgotten this. For these cells, there is an arguable role for the green and particularly the yellow LED systems. On the other hand, the major cells of interest for wound healing and rejuvenation are located in the extra-cellular matrix, namely the fibroblasts, mast cells, neutrophils and macrophages. For them, neither the green nor the yellow wavelengths will penetrate deeply enough, and the literature tells us that 830 nm is the wavelength of choice to photoactivate all of these cells in vivo, to raise their action potential in an athermal and atraumatic manner13. If blood, melanin and water are not the major chromophores for LED-LLLT, then what are? Earlier the two most important ones were mentioned in passing, namely cytochrome c oxidase (CCO) in cellular mitochondria and elements in the cellular membrane. The exact complex mechanisms have been more or less elucidated but are beyond the scope of this article, however suffice it to say that visible light targets CCO, whereas near infrared energy targets the cell membrane. CCO, or complex IV, is the end terminal enzyme in the respiratory chain in the mitochondrion, the energy factory of the cell. To put it simply, via a complex series of interactions, CCO is responsible for synthesizing adenosine triphosphate (ATP), the fuel of the cell and indeed the entire organism. Visible light is absorbed in CCO and induces a photochemical cascade, the end result of which is ATP and some powerful cell-cell signalling compounds, namely calcium ions (Ca++ ) and protons (H+). The transport mechanisms in the cell membrane, such as the sodium-potassium pump, (Na+/K+-ATPase) are prodded into action, and intra and extracellular exchange occurs between the cell and the extracellular matrix. In the case of near infrared light, cell membranes become more or less opaque at this waveband and so the incoming energy is fully absorbed in the cellular membrane, where via a photophysical response involving rotational and vibrational exchanges, the absorbed energy alters the electron status of the molecules making up the membrane. The cellular transport mechanisms are instantly activated, and the mitochondria are prodded into action to produce more ATP to fuel this sudden cellular activity. This induces the same cascade as with visible light, but it is an indirect photophysical response rather than a direct photochemical one. However, the end result is the same, namely an athermally and atraumatically photoactivated cell. These different processes are summed up in Figure 8 11. These concepts have already been touched on as part of the argument as to why the ‘level’ in LLLT refers to a level of cellular reaction to the incident photon energy which is below the cell’s damage threshold, regardless of the system being used to deliver the light. However they merit a closer examination due to a great deal of misunderstanding as to which one is the main determinant in achieving a photosurgical or a phototherapeutic reaction. Lasers, laser diodes, and LEDs deliver a rated output power, lasers usually in watts (W), and laser diodes and LEDs in milliwatts (mW), although there is a class of laser diode which can deliver power in W that is never used in LLLT systems. Thus the output power of a system is by itself meaningless until the laser energy strikes a target and absorption occurs. The size or area of the incident beam of light gives the unit area of the tissue being targeted, and w hen we take the incident power of the beam (in W) and divide it by the area of the target (in cm²), we arrive at the power density, also referred to as the irradiance. This is always expressed in W/cm², or mW/cm² for LLLT systems. However, as already illustrated above, if the unit area of tissue irradiated by a mW level beam is small enough (60 mW on a 50 μm spot), the reaction ceases to be pure phototherapy and can even be photosurgical in nature (power density of 700 W/cm²). Likewise a surgical laser can be defocused to give a pure LLLT reaction, because the unit area irradiated by the laser is large enough (e.g., 50 W over a 10 mm diameter beam giving a power density of less than 1 W/cm²). When we take the time for which the beam is incident on tissue, often called the exposure time, expressed in seconds, and multiply this by the power density in W/cm², we end up with the energy density in joules per square centimetre (J/cm²), which is also referred to as the dose. Many articles quote only the dose, but unless they have given us the exposure time, we have no idea what the power density was, and so this treatment cannot be replicated. It is important in all medico-scientific writing and reporting, therefore, to give all parameters, namely output power incident on the tissue and the irradiated area, from which the power density can be derived, and the treatment time in seconds which will give us the energy density. Armed with all of these, in addition of course to the wavelength, a treatment can be duplicated to see if the same results are achieved. Some authors insist on giving us the joules, which is simply power over time: 1 J is 1W over 1 s, or 10 W over 0.1 s, or 10 mW over 100 s. Without knowing what the irradiated area is, the joule is a useless animal. If you see a joule scurrying across your page, kill it. However, even energy density can be misleading, as the author explains below. Considering that a peak power density of 100,000 W/cm² is normal for the ns domain Q-switched laser, which with a pulse width of 5 ns delivers an energy density of 0.5 J/cm²; the tissue reaction would be explosive particularly if a tattoo was being targeted. On the other hand, an LED system that delivers 60 mW/cm² will also give an energy density of around 0.5 J/cm² with an exposure time of 8.5 s: this is definitely a phototherapeutic reaction, but the dose is the same. In a third example, a system delivering 1 W/cm², still well within the LLLT system criteria, will produce an apparently high dose of 360 J/cm², but the reaction will still be athermal and atraumatic. Calderhead and Inomata measured the temperature and any damage, immediately or after two weeks, in the exposed rat knee joint being irradiated with a GaAlAs diode laser-based LLLT system delivering approximately 1 W/cm² for 1 hr, around 360 J/cm² 14. Temperature change in the irradiated joint was ± 1°C, and no gross or histological differences were seen at any assessment point between irradiated and sham-irradiated but operated animals. In conclusion, the magnitude of the dose may not necessarily be related to the ultimate tissue effect. It is the power density which determines above everything else the biological effect of light energy in target tissue. If the energy density is likened to the dose, then the power density is the medicine. As any pharmacist will tell you. if the medicine is not right, playing around with the dose isn’t going to get the desired result. 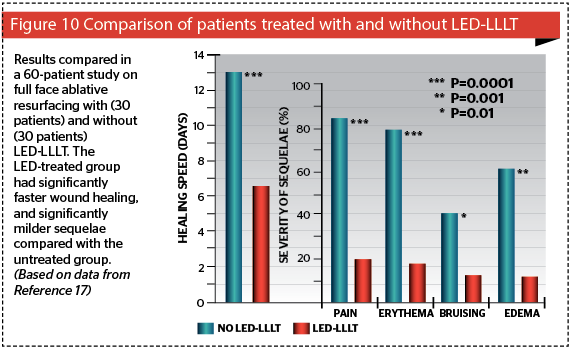 Clinical applications of LED-LLLT can be subdivided into two categories: stand-alone therapy, and adjunctive therapy. Ageing is a complex phenomenon combining biological or intrinsic ageing with the influence of extrinsic environmental factors, the most important of which is probably the effect of solar UV. The end result is degradation of the extracellular matrix with poorly arranged collagen fibers, elastic fibers that have lost their elasticity, and a ground substance that is less lubricating than it was. The epidermis tends to thin out, with less active cellularity, a disorganized stratum corneum, and flattened rete ridges. Although the dermis could be said to support the skin, it is the epidermis which patients see in the mirror, so unless the epidermis can somehow be refreshed, patients will end up looking at the ‘same old epidermis’, (what the author calls the SOE syndrome) and will not be happy, no matter how much improvement can be seen histologically to the dermal structures and overall condition. LED energy has to pass through the epidermis on its way down to the dermis, and certain wavelengths are known to beneficially affect epidermal basal layer cells, namely 590 nm yellow, 633 nm red and 830 nm near-infrared. Thinking back to the discussion of penetration versus absorption above, the reader will recall that the epidermis is the main target for 590 nm, whereas both 633 nm and 830 nm will not only target epidermal cells, but will also affect dermal components. All of these wavelengths will therefore athermally and atraumatically photoactivate the epidermal basal layer cells, namely mother keratinocytes and melanocytes, but will also have some interesting effects on Merkel cells and other dendritic cells such as Langerhans cells. Increased extracellular levels of ATP are noted, as well as powerful signalling components including Ca++ and H+. However, if the targets are cells in the extracellular matrix to achieve dermal restructuring, then because of its poor penetration the 590 nm is practically of no use (Figure 7), but both the 633 nm and 830 nm wavelengths will penetrate deeply enough. However, of these two, the literature has suggested 830 nm targets a larger number of the necessary cell types, and has a better effect on the overall skin rejuvenation process11,15. The ideal combination for stand-alone LED-LLLT in skin rejuvenation would therefore be 590 nm applied first to target specifically the epidermis, followed by 830 nm which will not only boost epidermal cellular activity, but will also photoactivate mast cells, macrophages, neutrophils (if present) and of course fibroblasts. It has to be noted that the effect is not instantly visible, but on the other hand increasing efficacy is seen over a 12-week follow-up. This requires good patient education. An excellent study by Lee and colleagues highlighted patient satisfaction with stand-alone LED-LLLT in three split-face groups, comparing LED-LLLT with 830 nm and 633 nm on their own and the sequential combination of these two wavelengths15. In all three groups, there is some level of satisfaction at the end of the 4-week treatment regimen, but as the 12-week follow-up progresses, levels of satisfaction increase steadily for all three groups without any other treatment allowed or given, except washing the face with hypoallergenic soap. Note also that the 830 nm group achieved the greatest level of satisfaction, quickest. This gradual improvement is the result of the remodelling process: even atraumatic and athermal LED-LLLT can, therefore, induce neocollagenesis and neoelastinogenesis, and further enhance remodelling. Figure 9 shows significant collagenesis and elastinogenesis from patients in the same study as above two weeks after the final treatment session, comparing the treated side of the face with the untreated side of the face. In addition, the 830 nm group also showed significantly improved skin elasticity than the others as measured with a Cutometer. This was not only an NNE (nice new epidermis), as distinct to an SOE (same old epidermis), but a substantially remodelled dermal matrix for which the ageing clock had been turned back stand-alone LED-LLLT therefore has a role to play in rejuvenation of the ageing face, but it does take time and results are not instantly visible. Even more exciting than the stand-alone options for 830 nm LED-LLLT is its ability to be used in conjunction with any other procedure or approach, which alters the patient’s tissue architecture in any way16. It has been shown to speed up wound healing (by better than 50%), minimize side-effects, and decrease downtime17 (Figure 10). The ability of LED-LLLT to help prevent hypertrophic scarring postsurgery has also been shown in a controlled study on thyroidectomy scars18. The usual regimen is to apply the LED-LLLT as soon as possible after trauma, accidental or iatrogenic, immediately postop in the latter if possible: then treat 24 hrs and again 72 hrs after surgery or whatever procedure has been performed. The recommend optimal dose is 60 J/cm². For severe trauma or an extensive surgical procedure a further six sessions can be given twice weekly over 3 weeks, separating the sessions by at least two days. In the case of post-procedural adjunctive 830 nm LED-LLLT, it really doesn’t matter which procedure is performed: a mild microdermabrasion all the way up to rhytidectomy and anything in between, including medical intervention with creams and sera: applying the 830 nm energy is pain free (and will even alleviate pain), side-effect free (it controls side-effects) and is well tolerated by patients of all ages. Many patients fall asleep during their 830 nm LED session, as this wavelength has been shown to enhance the parasympathetic ‘rest and relax’ response, so as a de-stressor it is also a valuable tool. LED-LLLT after fractional ablative or non-ablative laser, after fractional radiofrequency and after microneedling with or without any application of cosmeceuticals has cut the minimal downtime even further by swiftly reducing erythema and edema, and improved results. As for cosmeceutical delivery, especially stem cell-related compounds, a very recent study has shown that 830 nm LED-LLLT increases the activity of human adipose-derived stem cells in vitro, and potentiates activity in vivo in an animal model19. LED-LLLT has advantages as far as application is concerned, in addition to the advantages inherent in LEDs themselves explained earlier. It is easy to apply, as most systems have a large adjustable or contoured treatment head covering the entire face (and other anatomical sites) so that application is completely hands-free. This makes it very clinician non-intensive. In addition, LED-LLLT can be applied by a trained nurse or assistant, further freeing up the surgeon for other duties. 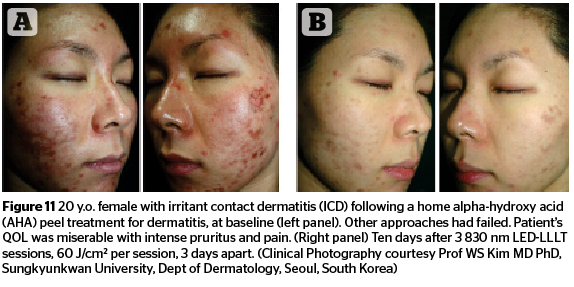 Figures 11–13 highlight the results that can be achieved for a number of aesthetic concerns with multiple sessions of 830 nm LED-LLLT, including irritant contact dermatitis, skin wounds, and ischaemic necrotic ulcers. Low level light therapy with light emitting diodes (LED-LLLT) is emerging from the mists of ‘black magic’ as a solid medico-scientific modality, with a substantial build-up of corroborative bodies of evidence for both its efficacy, and some elucidation of the modes of action. Reports are appearing from many different specialities: of particular interest to the aesthetic practitioner, however, is the proven action of LED-LLLT on skin cells in both the epidermis and dermis, as well as enhanced blood flow. This allows safe and effective stand-alone LED-LLLT for patients who are prepared to wait till the final effect is perceived, or much more excitingly, is a new option for the clinician as a not-to-be-ignored method of enhancing already good results obtained with absolutely every other tool in the rejuvenation armamentarium. LED-LLLT is easy to apply, pain free, side-effect free, and, in the opinion of the authors, will undoubtedly become a major adjunctive modality for the aesthetic and cosmetic practitioner dealing with the ageing face. Ignore this at your peril! Ohshiro T: Low Reactive-Level Laser Therapy: Practical Application. John Wiley and Sons, Ltd, Chichester, UK. 1991. Karu T: Primary and secondary mechanisms of action of visible to near-IR radiation on cells. J Photochem Photobiol B, 1999. 49: 1-17. Whelan HT, Houle JM, Whelan NT, Donohoe DL et al. : The NASA Light-Emitting Diode Medi-cal Program- Progress in Space Flight and Terrestrial Applications. Space Tech. & App. Int’l. Fo-rum, 2000. 504: 37-43. Whelan HT, Smits RL Jr, Buchman EV, Whelan NT et al. : Effect of NASA Light-Emitting Diode (LED) Irradiation on Wound Healing. Journal of Clinical Laser Medicine and Surgery, 2001. 19: 305-314. Smith KC: Laser (and LED) therapy is phototherapy. Photomed Laser Surg, 2005; 23: 78-80. Karu TI: Identifying the photoreceptors. in Karu TI: Ten Lectures on Basic Science of Laser Pho-totherapy. 2007, Prima Books AB, Grängesberg, Sweden. Kim WS and Calderhead RG: Is light-emitting diode low level light therapy (LED-LLLT) really effective? Laser Therapy, 2011; 20: 205-215. Smith KC: The Science of Photobiology. 1977. Plenum Press, New York, USA. Calderhead RG and Goo BCL: Lasers and lights in wound healing. In Nouri K (Ed): Handbook of Lasers in Dermatology. 2014, Springer Medical, New York. pp 329-359. Calderhead RG, Inomata K: A study on the possible haemorrhagic effects of extended infrared di-ode laser irradiation on encapsulated and exposed synovial membrane articular tissue in the rat. Laser Ther, 1992; 4: 65-68. Lee SY, Park KH, Choi JW, Kwon JK, et al. : A prospective, randomized, placebo-controlled, dou-ble-blinded, and split-face clinical study on LED phototherapy for skin rejuvenation: Clinical, pro-filometric, histologic, ultrastructural, and biochemical evaluations and comparison of three differ-ent treatment settings. J Photochem Photobiol (B), 2007. 88: 51-67. Calderhead RG, Kim WS, Ohshiro T, Trelles MA , and Vasily DB : Adjunctive 830 nm light-emitting diode therapy can improve the results following aesthetic procedures . Laser Therapy, 2015, 23: Accepted and in press. 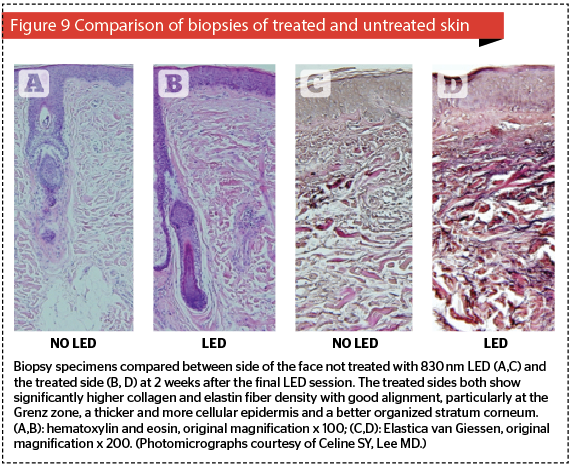 Trelles MA, Allones I and Mayo E: Combined visible light and infrared light-emitting diode (LED) therapy enhances wound healing after laser ablative resurfacing of photodamaged facial skin. Med Laser App, 2006; 28: 165-175. Park YJ, Kim SJ, Song HS, Kim SK, LeeJH et al. : Prevention of thyroidectomy scars in Asian adults with low-level light therapy. Derm Surg, 2015: Accepted and in press. Min KH, Byun JH, Heo CY, Kim EH, et al. : Effect of Low-Level Light Therapy on Human Adi-pose-Derived Stem Cells: In Vitro and In Vivo Studies. Aesthetic Plast Surg, 2015; 39: 778-782.